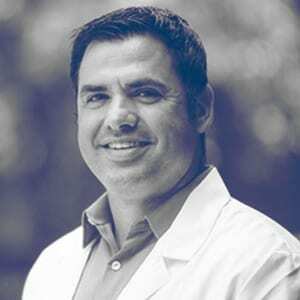 Dr. Obregon received his undergraduate degree in Chemistry and his Medical Degree from the University of South Florida. He has a dual board-certified in child psychiatry and general psychiatry and completed his child and adolescent psychiatry fellowship at USF. Dr. Obregon serves as Courtesy Assistant Professor at the University of South Florida’s Morsani College of Medicine, has been published in peer-review medical journals, and has presented his research papers and findings throughout the United States and abroad. Dr. Obregon has earned the following awards: USF Outstanding Resident Teacher Award, Gold Star Veterans’ Hospital Service Award, Laughlin Fellow of The American College of Psychiatrists, AACAP EOP for Child and Adolescent Psychiatry Resident Award. He has patents pending for his research in the fields of Alzheimer’s, RNA/DNA, and Autoimmune-Related Disorders. Dr. Obregon is great. I feel completely confident in his judgment and he is extremely knowledge. Both of my appointments so far have been EXTREMELY helpful. He makes sure you are comfortable with whatever the situation is and is very easy to talk to - wish I wouldn't have waited so long to go in! Dr. Obregon was very caring and helped me a lot. I was nervous about the appointment but he put me at ease and I feel much better on the medication he prescribed. He’s much better than the doctor I was seeing before. I highly recommend him. We couldn't be more pleased with the care that Dr. Obregon is providing our son. As a parent you only want the best for your kids, and we found it with Dr. Obregon.